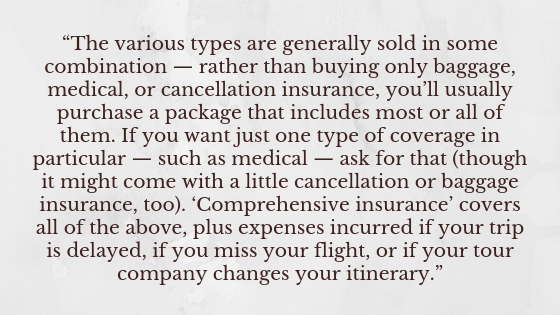 Even the most seasoned travelers sometimes feel confused about travel insurance — what’s out there, what it covers, whether or not they need it. Avoid purchasing travel insurance from the company that’s also hosting your trip. The reason for this? If that company goes out of business, chances are, so does their insurance. Some companies offer comprehensive coverage that can serve as your primary coverage while you’re traveling. What does this mean, and how can it benefit you? It means that the insurance company will pay first, regardless of what other insurance you have. They don’t even inquire about additional insurance, saving you tons of paperwork and out-of-pocket expenses. TravelGuard and Travelex are two such companies that provide these policies as an option. Weigh the cost of the trip with the cost of insurance. If you just bought a $79 ticket for a quick weekend in Chicago — is it worth it? Maybe, maybe not. If, however, you’re headed out on a once-in-a-lifetime trip that you’ve been saving for for months, travel insurance is likely a great idea. 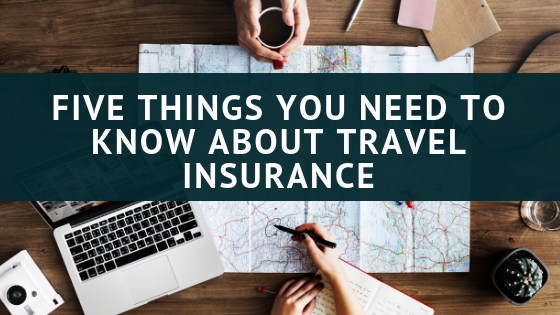 Have questions about insurance – or any other travel-related topic? We’d love to chat with you and get to know you and your travel plans better. To get in touch, just click here.